Successful one year ago, Chile’s Matias Pino Lorca won the first title to be decided in the Men’s Singles Standing Classes at the 2017 Copa Tango staged in Buenos Aires, Argentina. The leading name on duty, in a group organised event, without surrendering a single game, he retained his Class 6 title. He finishing ahead of Brazil’s Goutier dos Santos Rodrigues and Luis Henrique Medina. 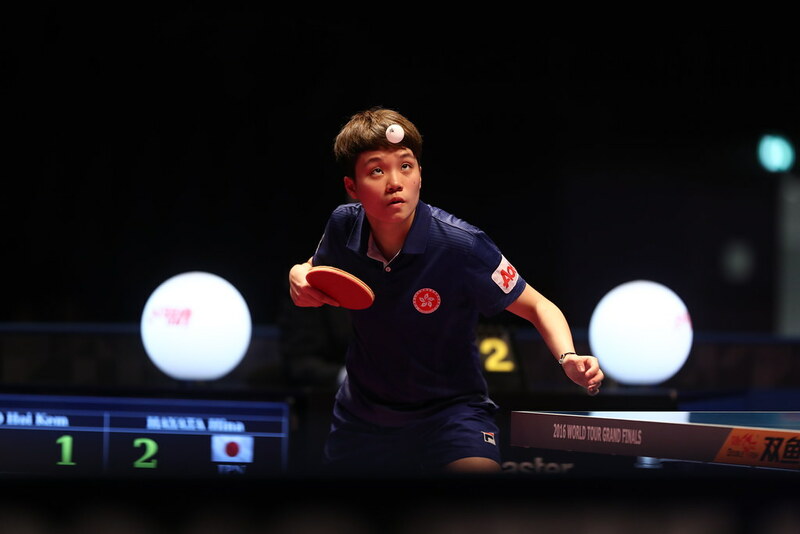 Success for the top seed, likewise with finals still to be played, it was a successful day for three further players in the Men’s Singles Standing events, who started the day as the highest rated in their particular categories. In Class 7, Brazil’s Paulo Salmin Filho, having finished in first place in his group, at the semi-final stage accounted for Chile’s Osvaldo Torres, the no.2 seed (11-4, 11-7, 11-6), a player who had not enjoyed the best of fortunes. Earlier in the day he had experienced defeat at the hands of Argentina’s Aleksy Kaniuka (11-3, 11-3, 11-5), very much a man in form; the Argentine now awaits Paulo Salmin Filho in the final. In a hard fought penultimate round contest Aleksy Kaniuka accounted for colleague Pablo Ferro (8-11, 11-4, 11-8, 12-10). Meanwhile in Class 9, the respective top two seeds, Brazil’s Diego Moreira and Chile’s Manuel Echaveguren advanced to the final, whilst in Class 10, organised on a group basis, at the end of the opening day of action, Brazil’s Carlos Carbinatti remained the one unbeaten player. Very much according to status but not in Class 8 where surprise names contest the final; Brazil’s Francisco de Melo meets Ecuador’s David Vasquez. In the group stage Francisco de Melo experienced defeat at the hands of Paul Polo, like David Vasquez from Ecuador, he was beaten in three straight games (11-7, 11-7, 11-8) and ended proceedings in second place. Runners up spot meant a place in the main draw; it was at that stage Francisco de Melo excelled. He beat the host nation’s Alejandro Perez (12-10, 16-14, 11-7), before at the semi-final stage ousting Brazil’s Luiz Guarnieri Manara, the top seed (8-11, 11-9, 11-8, 6-11, 12-10). Both Alejandro Perez and Luiz Guarnieri Manara had finished in first places in their respective groups. Likewise, David Vasquez had finished in a second place in his group, he lost to Luiz Guarnieri Manara (14-12, 11-9, 11-8), before in the main draw accounting for Brazil’s Nilson Oliveira da Silva (11-7, 5-11, 11-8, 11-7) and Paul Polo (11-7, 11-7, 11-8) to reserve his place in the final. The individual events conclude on Wednesday 22nd November.